Is COVERGIRL cruelty-free? The cruelty-free status of this long-time beauty brand remains confusing for many. In an effort to help make things easier for cruelty-free consumers, I wanted to post an article all about the COVERGIRL cruelty-free status. COVERGIRL has been around for decades and is one of the most well-known drugstore brands out there. 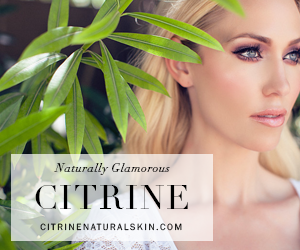 They can be found all over – from grocery stores to drugstores and even places like ULTA and Target. Here at Logical Harmony, we’ve been doing a deep dive into things and wanted to be able to share more with you so there are videos talking about our experience with COVERGIRL so far. 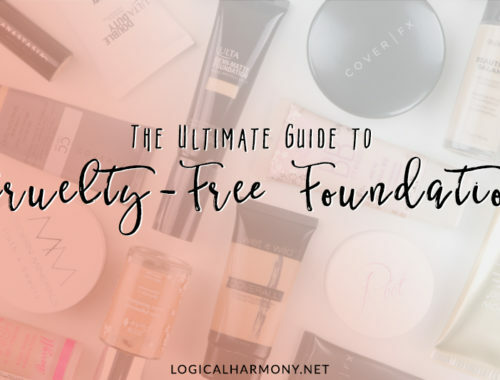 We’ll also share our take on COVERGIRL and if they will be added to the Cruelty-Free Brand List here on Logical Harmony. Is COVERGIRL cruelty-free? Keep reading to find out the details. Is COVERGIRL cruelty-free? Yes! COVERGIRL is cruelty-free! 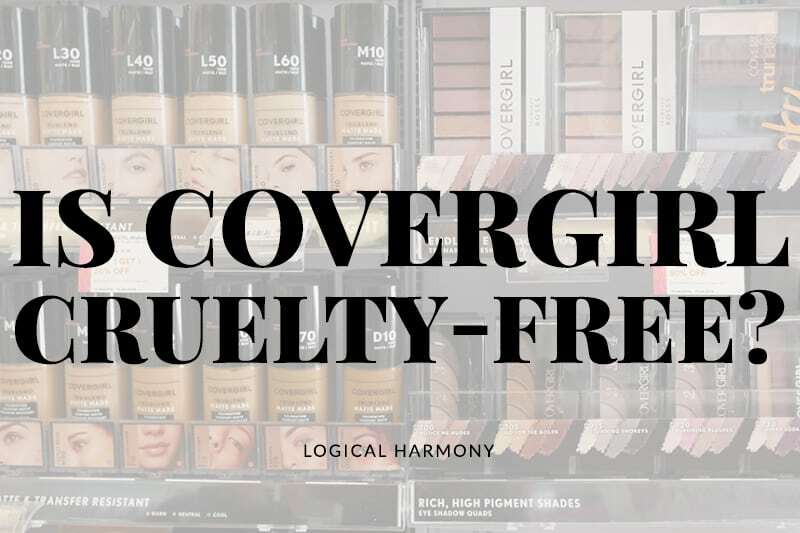 COVERGIRL is a cruelty-free brand based on the Logical Harmony criteria for determining if a brand is Logical Harmony approved. There is no animal testing being done on COVERGIRL products at any point or on any ingredients used to make COVERGIRL products. COVERGIRL also has the Leaping Bunny certification through Cruelty-Free International and plans to add the Leaping Bunny logo to packaging in 2019. COVERGIRL is owned by Coty. Coty itself is not cruelty-free. I believe that everyone should decide for themselves how they feel about parent companies. At the end of the day, I would rather people purchase from a cruelty-free brand with a parent company that is not cruelty-free than purchase from a brand who tests on animals themselves. I encourage everyone who supports cruelty-free brands to let COVERGIRL and Coty know that being cruelty-free is important to you. Are COVERGIRL products sold in China? No. No. COVERGIRL products are not sold in China. COVERGIRL was acquired by Coty in 2016 and has not sold in China since before the acquisition. COVERGIRL may have initially entered the Chinese market with their previous parent company, Procter & Gamble. I say that they may have because Procter & Gamble had registered them as a business in China and first issued a press release in 2005 that COVERGIRL would be sold in China, which would mean required by law animal testing, but it is unclear how they were sold in China or if they ever actually were. When Coty purchased COVERGIRL from P&G, they made the active decision to not bring COVERGIRL into the market in China knowing that animal testing would be required. Talking to COVERGIRL seemed like a really good time to start our new video series – Is it Cruelty-Free? 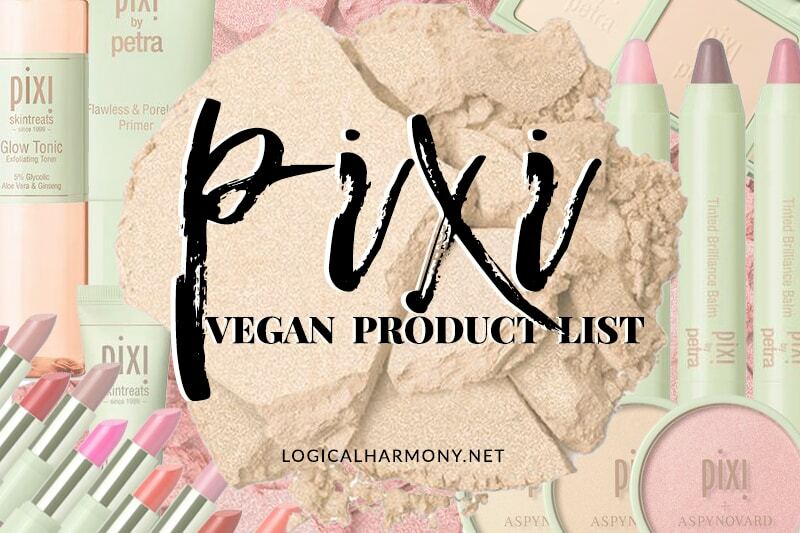 We have been wanting to do this to talk to brands about their stance on animal testing and take people along with the process that can go along with adding a brand to the Logical Harmony Cruelty-Free list. Part one of Is COVERGIRL Cruelty-Free? Part two of Is COVERGIRL Cruelty-Free? In this video, we were joined by the Global Cheif Marketing Officer & Senior Vice President of COVERGIRL, and the Vice President of Global Corporate Affairs & Communications for Coty, be able to help answer some questions that I, and so many of you, have had. Does COVERGIRL test on animals when required by law? No. No. COVERGIRL does not test on animals when required by law. Nor do they pay for any required by law animal testing to occur on their products. COVERGIRL does not sell in any markets that require animal testing. COVERGIRL is owned by Coty. They were previously owned by Proctor & Gamble. In 2016, they were acquired by Coty. Does COVERGIRL have vegan products? Possibly! COVERGIRL is currently evaluating to see if they have vegan-friendly products. 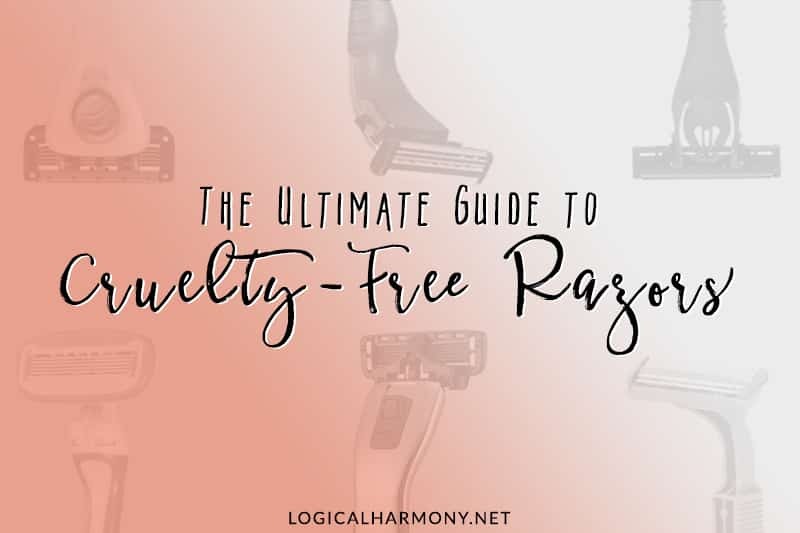 We are hoping to get a full list from them and, should they end up on the Logical Harmony Cruelty-Free Brand List, we hope to be able to share it here. Where can you find COVERGIRL products? COVERGIRL can be found on their own website, Target, ULTA, Walmart, and more. Sign up for Ebates and get cash back on your cruelty-free purchases from Ulta, Target, and more! As long as a parent company makes a profit off a “cruelty free” company, they aren’t cruelty free. The dollars are still going toward animal testing. Question.. Do you know if COTY are moving towards making their other brands Cruelty Free as well? I know that they do want to have at least one other brand be cruelty-free, but I am not sure which one. so beyond stoked for this !!!!!!!! Thank you for posting! I was waiting until one of the cruelty-free authorities like you confirmed whether or not they were truly CF. I had a good feeling they were, considering Leaping Bunny has more thorough standards, compared to PETA. This is such amazing news! Now for COTY themselves to go CF! So morally speaking, would you deem it acceptable to buy the current products they have on the shelf or should we wait until the new packaging rolls out? It is fine now! 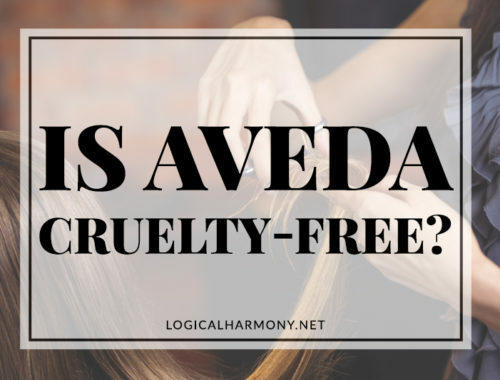 What’s in stores is cruelty-free! That was one of the questions I had. Yaaaaay! I can go and buy a foundation now, since is winter and my current foundation is too dark, hoho. Thanks for doing all this research and all you do in general. I just watched the Part 2 video, and am so glad and totally shocked that this is happening! Thank you so much for all of your hard work, Tashina and Justin!!! YES!!! I hope this shows other brands , especially drugstore brands that they can do this too ? I can’t speak for COVERGIRL or Coty here, but my guess is that they felt it was the right thing to do. Since the brand hadn’t been put in China yet it made it easier to make that business decision.